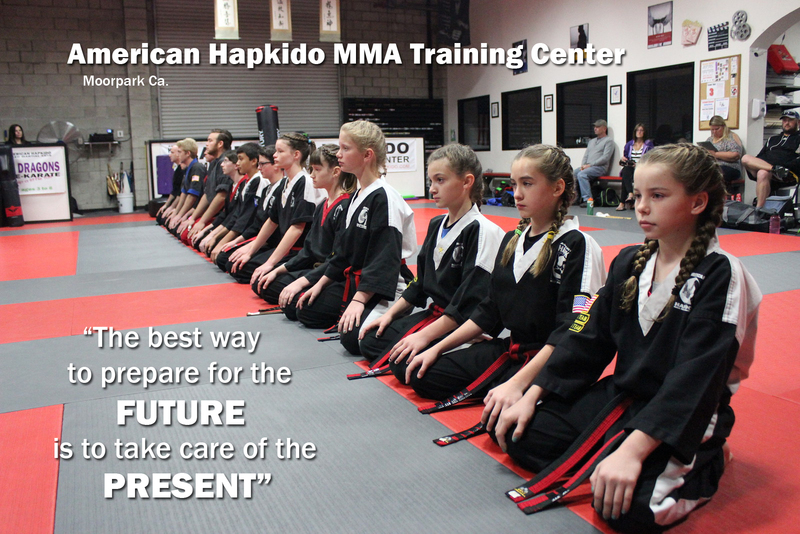 We here at Moorpark"s American Hapkido MMA Training Center are very concerned with the well being and education of our children. We understand that younger students have a shorter attention span. Our unique children"s program uses interesting and enjoyable methods to keep the student"s attention and teach our young students skills that they can use for life. We promote non-violent resolutions to conflict. Our methods help children explore and understand conflict through role-play and other exercises. 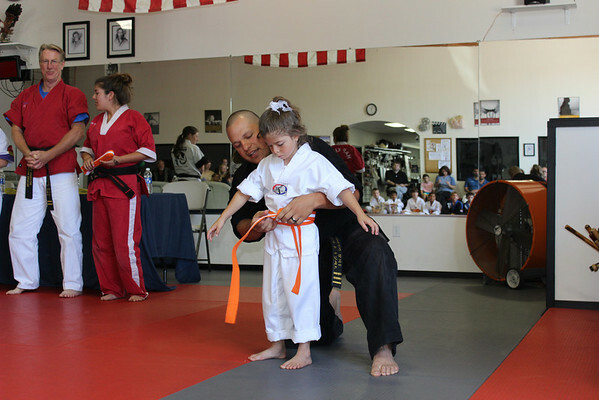 More than any other sport, Karate gives our children the chance to explore their innate powers. Marvel as they increase in strength, flexibility, endurance, balance, and harmony. This is only the start. Physical skills act as a foundation for something much more important: the development of value skills, both mental and spiritual. Our unique blend of goal-setting, self-esteem, respect, and discipline program is taught to over one thousand children each week. These goals are attained in an enjoyable, exciting, and enriching atmosphere, while in a family-like setting. Our classes are designed to have fun, to learn new skills, and to become knowledgeable not in the art of self-defense, but in the lessons of life. Our highly trained and qualified instructors are carefully selected for their ability to help each child to grow and develop in positive ways. These goals are achieved by our setting the example and by being the models of the character-building skills we teach.Our talented staff is dedicated to the education and training of your kids. 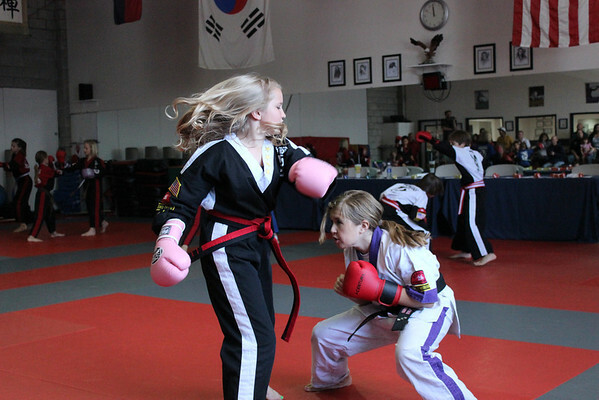 We make learning Martial Arts exciting and fun! Never undervalue this important life skill. Children today face more bullies and negative peer pressure to take drugs and alcohol then at any time in our history. We teach a realistic self-defense system that combines Korean Hapkido, American Boxing, Japanese Judo, Philippine Kali and Brazilian Jiu Jitsu submission grappling, so children learn to defend themselves in virtually any situation, whether they are standing up or on the ground. They also learn conflict resolution and when they should and shouldn"t use their skills. Studies have shown that...Children who learn self-defense become more assertive and less aggressive. Children who know how to defend themselves usually don"t have to, because they carry themselves in a more confident manner, and confidence alone is a deterrent to bullies. Martial arts has so many valuable benefits for children. It teaches them how to focus, to listen and to respect others in a safe and fun environment. With growth and repetition, our program helps them see that daily accomplishments can turn into future successes. Our instructors make the training enjoyable and engaging, while teaching in a disciplined environment. They strive to instill a sense of responsibility and respect for themselves and others. Using innovative methods and just the right amount of fun, we teach our Juniors life skills and physical skills that will benefit them now and as they grow into adults. We emphasize non-violent conflict resolution and teach children to recognize and avoid lures and threats. And our curriculum is also designed to ensure that children are prepared mentally and physically to neutralize physical threats.